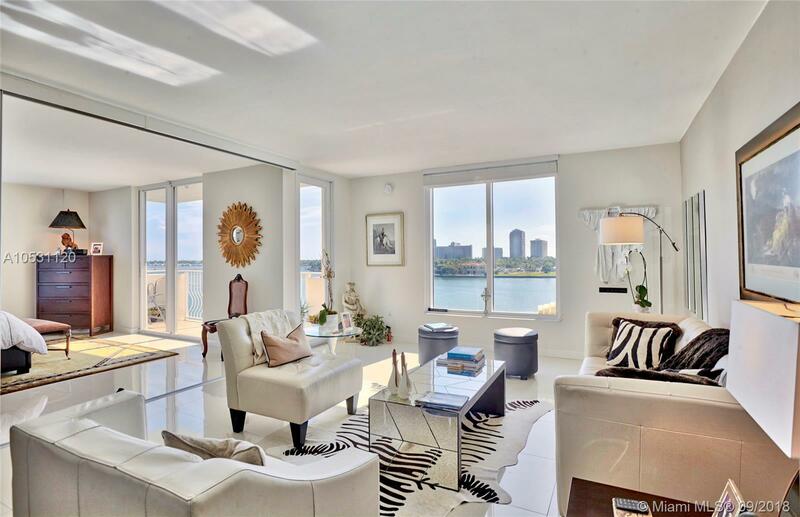 Direct Unobstructed Bay Views From Every Room, 2/2 Corner one of the best lines of the building, Open Floor Plan with Porcelain Floors Throughout, Updated kitchen and baths, Large windows pouring in light from every room, All doors upgraded, high impact windows. All Closets have built-ins. 24 hour security. Gated community, Bayfront pool and tiki huts, gym, On Bay Overlooking Haulover Island. * hallways and lobby are being renovated with no special assessment.. Great time to buy in lovely Bay harbor Islands , Best School District in Miami Dade County. Directions: Collins To 96 Street, To East Bay Harbor Drive.